Leading provider of intelligent video-based surveillance and loss prevention adds comprehensive analytics, video analysis, and big data capabilities, enabling its customers to further improve operations. DTT, a leading provider of intelligent video-based surveillance and loss prevention services, today announced the acquisition of substantially all assets of EZUniverse, including 360iQ, a data analytics and video surveillance platform. 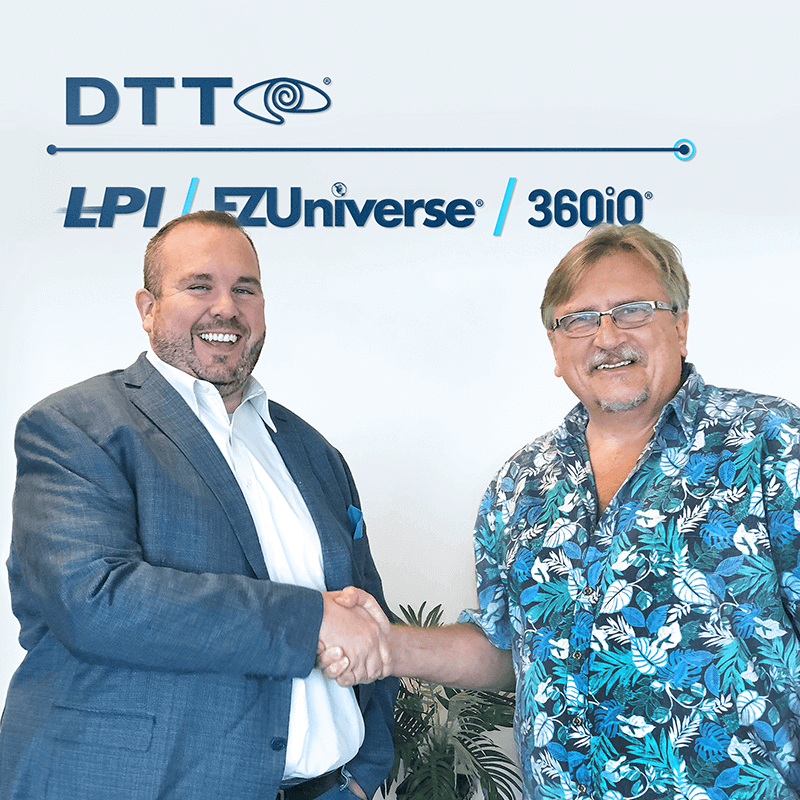 Concurrent with the acquisition, EZUniverse CEO Leszek James was named President of the EZUniverse business at DTT. DTT has had a long history of organic growth that has been enhanced with the two recent acquisitions. Sam Naficy, the founder and Chairman of DTT remarked. “This acquisition represents continued board support and substantial investment by the existing shareholders in the long-term success of DTT. We have the best product and people, as well as the largest and most well-served customer base in what we do. Our organic growth, combined with using M&A to enhance our platform, is creating unparalleled value.” DTT supports more than 42,000 clients, including McDonald’s, Subway, Dairy Queen, Burger King, Arby’s, Taco Bell, KFC, and Auntie Anne’s. DTT protects trillions of dollars in assets and oversees nearly 2 million employees every day. EZUniverse was incorporated in 2009 and is a technology company focused on building and implementing turn-key Business Management Systems that use advanced analytics and video surveillance to empower companies to improve operations. EZUniverse’s international Research and Development Team based in Gliwice, Poland gives brands the technology, tools, and support to increase profits at a cost far lower than the monetary benefits realized. EZUniverse provides a single view of any enterprise, which allows our clients to use technology and management support services to quantify, measure, and act on issues in real time, anytime, anywhere.